It has now been 60 years since the Olympic Games were held in Melbourne. The Olympic Games are one of the world’s largest international sporting events, with thousands of athletes representing almost every nation on the planet competing against each other. Australia has hosted the Summer Olympic Games twice. The most recent was Sydney in 2000, and the first was Melbourne in 1956. 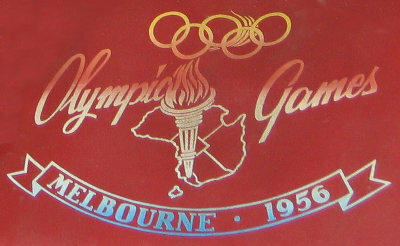 In 1949, Melbourne was successful in its bid to host the 1956 Olympic Games. It was a close contest, with Melbourne winning by just one vote from Buenos Aires, Argentina. This was to be the first time that the Olympics would be staged in the southern hemisphere, a fact that some felt may be an inconvenience to northern hemisphere athletes, as the Games would be taking place during their usual off-season. 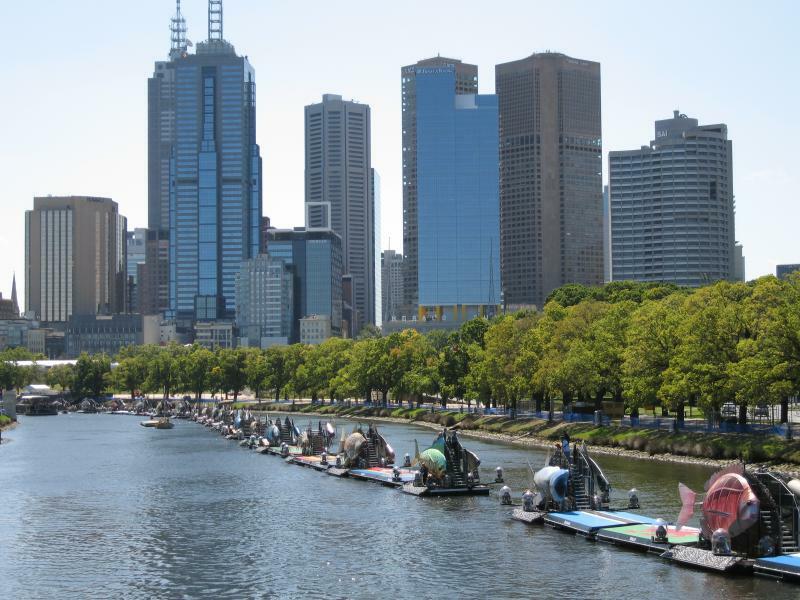 Initially, there were some organisational worries due to problems obtaining financial funding and for a while it was looking as if Melbourne would not be ready by the scheduled start date. A couple of years before the Games were to be staged, the International Olympic Committee (IOC) even considered moving them to Rome, which was to host the 1960 Olympics and which was progressing well with its preparations. However, Melbourne’s early problems were overcome and by early 1956 all was on track. The Melbourne Olympics wasn’t without its share of political turmoil. Several countries decided to boycott the Games due to problems overseas. Shortly before the Games began, the Soviet Union invaded Hungary. This saw the Netherlands, Spain and Switzerland withdraw from the Games in protest. Egypt, Iraq and Lebanon withdrew due to tensions between Egypt and Israel over the Suez Canal, and the People’s Republic of China also withdrew because the Republic of China (Taiwan) was being allowed to compete. The Olympic flame was lit at Olympia on 2nd November 1956. It was carried to Athens, Darwin and Cairns, then down the east coast of Australia, arriving in Melbourne for the Opening Ceremony at the Melbourne Cricket Ground (MCG) on 22nd November. The honour of lighting the Olympic cauldron fell to distance runner Ron Clarke, and the Games of the XVI Olympiad – as the Melbourne Olympics were known – had officially begun. Of the 19 sports in which competition took place in the 1956 Olympics, 18 were held in Victoria. The equestrian events were staged in Stockholm, Sweden in June of 1956. This was because Australia’s strict quarantine regulations did not allow the entry of horses into the country. This was the first time that Olympic Games events had been held in more than one country. More than 3300 athletes attended the 1956 Olympics, with 67 nations competing in Melbourne, while a further five countries competed only at the equestrian events in Stockholm. The Olympic Village, in which the athletes were housed in Melbourne, was located at Heidelberg West. Today, these buildings are used for public housing. Events were held at various venues. The MCG was used as the main Olympic stadium and was the venue for the athletic events. It also hosted soccer and hockey finals, and demonstrations of Australian rules football and baseball. Other soccer events were held at Olympic Park, while the Olympic Pool hosted the swimming, diving and water polo competitions. Both of these venues are now part of the Melbourne and Olympic Park complex. Festival Hall was the venue for gymnastics, boxing and wrestling events. Today, it continues to be an entertainment venue, hosting events from music concerts to boxing matches. 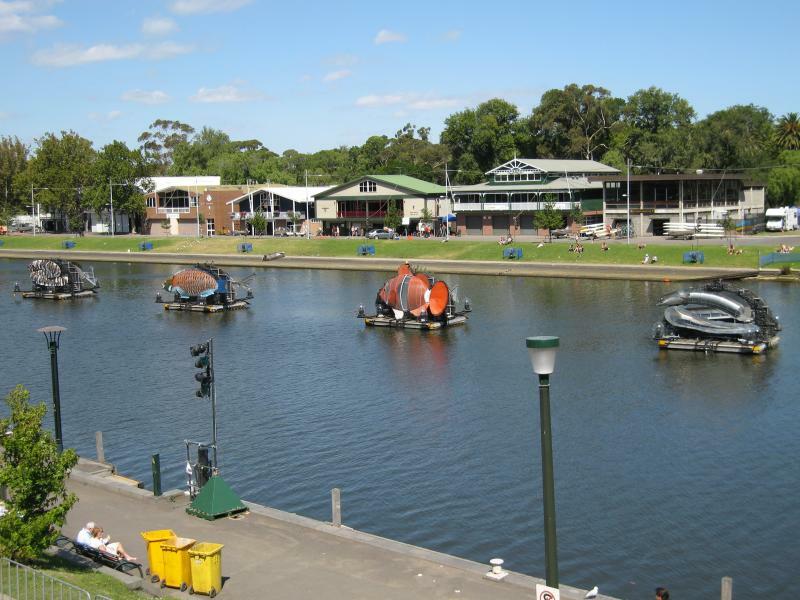 Sailing events were conducted on Port Phillip, and rowing, canoeing and kayaking competitions took place on Lake Wendouree at Ballarat. For the most part, the Games were conducted in a relaxed manner and became known as the “Friendly Games”. Unfortunately, this wasn’t the case in the men’s water polo semi final match between Hungary and the Soviet Union. It became know as the “Blood in the Water” match due to the violence that erupted between the two teams. The Hungarians won the match 4-0 and went on to win the gold medal. The conclusion of the Olympic Games saw the Soviet Union at the top of the medal table with 37 gold, 29 silver, and 32 bronze medals. The United States finished second with a total of 74 medals, including 32 gold. Australia filled third place with 35 medals – 13 gold, 8 silver and 14 bronze. As continues to be the case today, Australia’s most successful sport was swimming, winning a total of 14 medals, including 8 gold. In the men’s events, Australia won five of the seven races, with Murray Rose winning two individual golds plus another in the 4x200m freestyle relay. The women’s events saw Australia successful in three of the six races, with Dawn Fraser and Lorraine Crapp winning an individual gold and silver each, and another gold in the 4x100m relay. In both the men’s and women’s 100m freestyle events, Australians filled all three placings. Australia also had considerable success in track events, gaining 12 medals including 4 gold. Betty Cuthbert won gold in the 100m and 200m, while Shirley Strickland took out the 80m hurdles. Both women were also part of the winning 4x100m relay team. Other highlights of the Games included Vladimir Kuts from the Soviet Union winning both the 5,000m and 10,000m running events; American runner Bobby Joe Morrow equalling Betty Cuthbert’s success, taking out the men’s 100m, 200m and 4x100m relay; the Indian hockey team taking the gold for the sixth consecutive time; and Hungarian boxer Laszlo Papp winning his third gold in the light middleweight event. The 1956 Melbourne Olympics concluded with the closing ceremony on 8th December. Following a suggestion by a Melbourne teenager by the name of John Wing, instead of marching at the closing ceremony with their nation’s team, athletes from different countries were allowed to mingle, as a show of world unity. This became a closing ceremony tradition that continues to this day. For further information about the Olympic Games, see www.olympic.org. 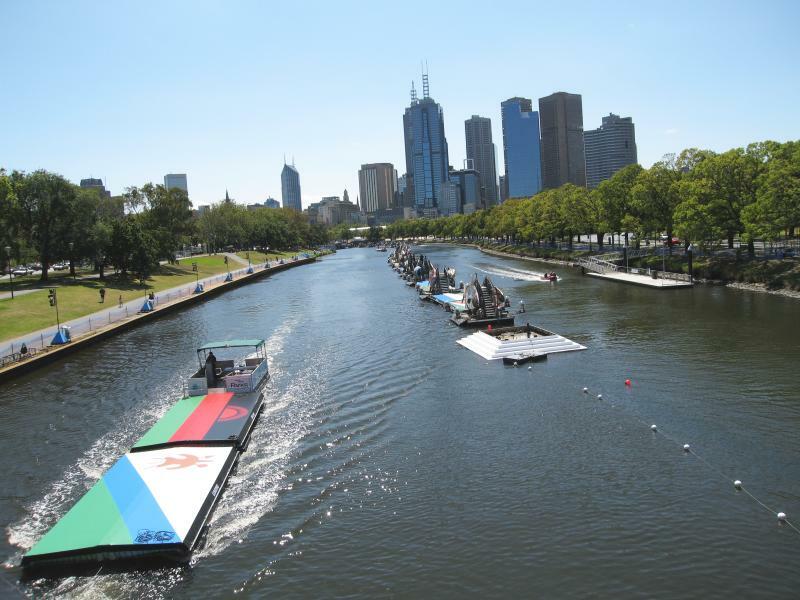 It has now been 10 years since the Commonwealth Games were held in Melbourne, so let’s reflect back on one of the city’s greatest sporting events. The Commonwealth Games are an international multi-sport event for athletes from the Commonwealth of Nations, consisting mainly of countries who were part of the British Empire. First held in 1930, the games have been hosted in Australia four times – Sydney in 1938, Perth in 1962, Brisbane in 1982 and Melbourne in 2006. They will be held in Australia for a fifth time in 2018 at The Gold Coast in Queensland. 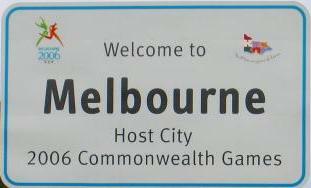 Fifty years after staging the 1956 Olympics, Melbourne won the honour of hosting the 2006 Commonwealth Games. 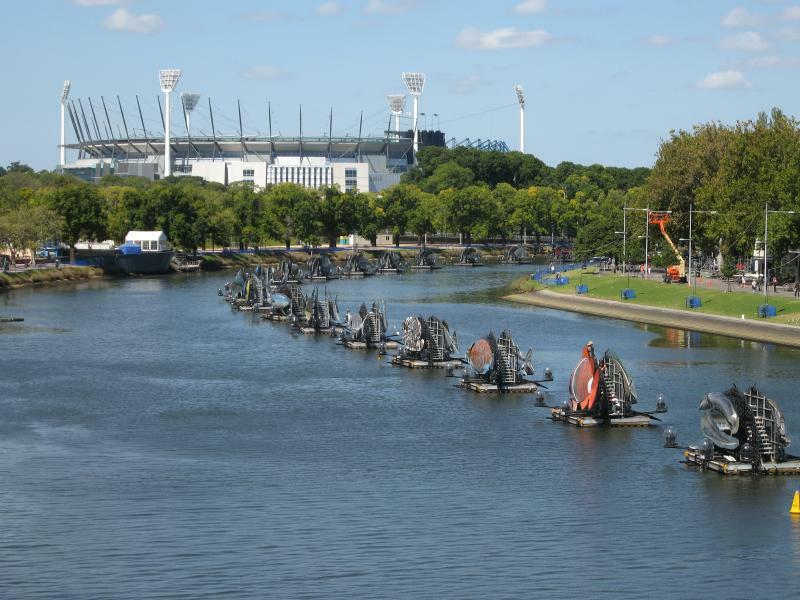 With Melbourne’s strong sporting culture, venues including the Melbourne Cricket Ground (MCG), Melbourne Sports and Aquatic Centre, and Melbourne Park were already established. As with the 1956 Olympics, the MCG was again the main stadium and underwent a refurbishment for the 2006 Games. The mascot for the XVIII Commonwealth Games was Karak, a red-tailed black cockatoo. It was his job to spread the word about the Melbourne Games all around Australia and, once the Games began, to help educate visitors about what Melbourne has to offer. A Commonwealth Games tradition since 1958 has been the Queen’s Baton Relay. The relay for the 2006 Games commenced in England on 14 March 2005, a year and a day before the Games opened. The baton is a symbol of unity of the Commonwealth nations and contains a message to the athletes from Queen Elizabeth II, which is read at the Opening Ceremony. Originally, the baton only travelled between England and the country hosting the Games but since 1998 other Commonwealth nations have also been included in the relay. 2006 was the first time that the baton visited all 71 Commonwealth nations, travelling over 180,000 kilometres. The baton arrived in Australia on 24 January 2006 before being relayed around the country, visiting all states and territories. It arrived at the MCG for the opening ceremony on 15 March. The opening ceremony was a spectacular event that took in not just the MCG main stadium but also featured a sound and light show along the Yarra River. There was also a collection of giant water creatures on the river, one representing each country of the Commonwealth. Back at the MCG, features included a flying tram, filled with performers, which landed in the centre of the arena. Victoria’s indigenous culture was also highlighted. The Commonwealth Games were officially opened by Her Majesty Queen Elizabeth II. Each of the Commonwealth’s 71 nations was represented at the games. Athletes and officials were housed in a specially built village at Parkville, only a few kilometres north of the Melbourne CBD. The Games Village had the capacity for 6,000 residents, and since the completion of the games has become commercial housing. Once the competition got underway, there were 16 sports contested. Swimming, diving and synchronised swimming were officially grouped together as “aquatics”, with different formats of cycling, shooting and gymnastics also regarded as a single sport. Four of the sports were also contested by elite athletes with a disability (EAD). These were athletics, powerlifting, swimming and table tennis, with the events being integrated into the general competition. 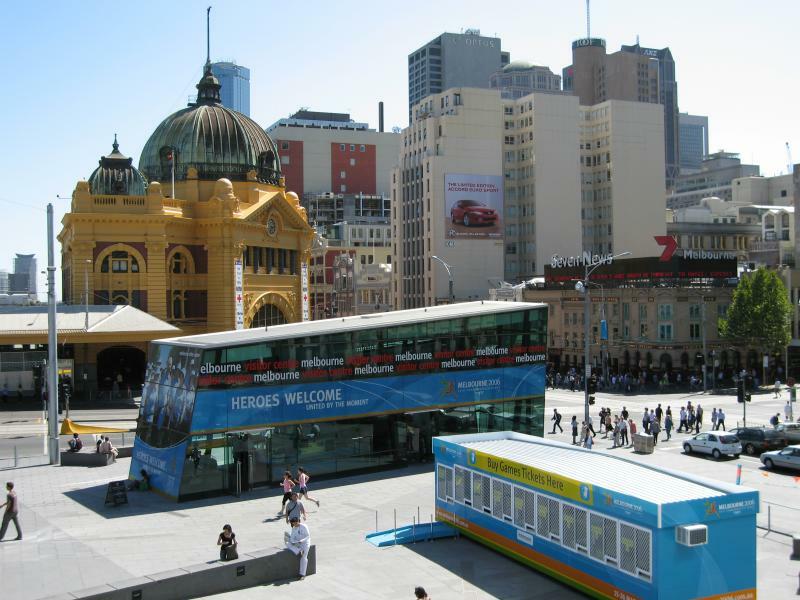 Events were conducted at ten venues around Melbourne. Some of these hosted more than one sport. The Melbourne Exhibition Centre hosted badminton, boxing and weightlifting events. The Melbourne Sports and Aquatic Centre was home to aquatics, squash and table tennis. The Multi-Purpose Venue at Melbourne Park staged basketball and netball finals and track cycling. The State Netball Hockey Centre staged netball preliminary matches and hockey. Preliminary basketball matches were played at four regional centres – Ballarat, Bendigo, Geelong and Traralgon. Other sports contested were lawn bowls, held at Thornbury, and rugby 7s, staged at Telstra Dome (now Etihad Stadium). Longer, outdoor events took place at various places around the city. Walking events were held around the Docklands precinct. 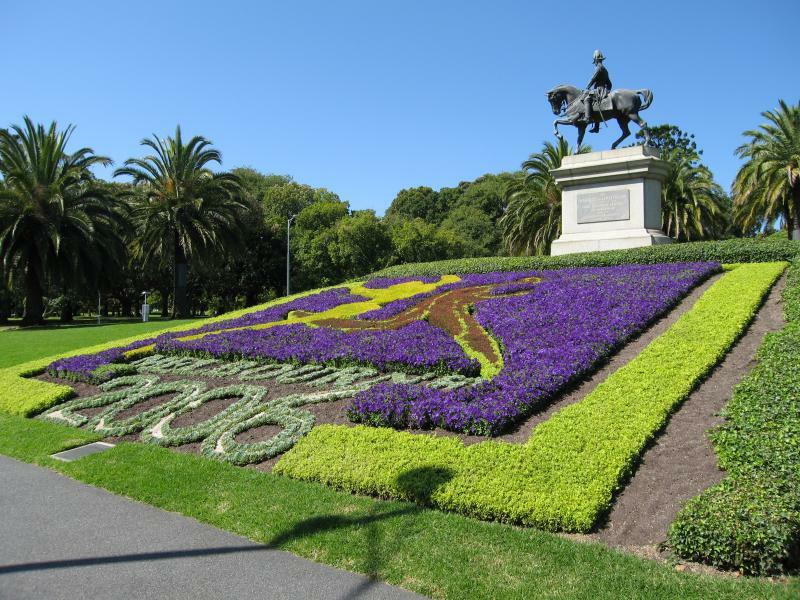 Highlights of the marathon course – which started and finished at the MCG – included Beaconsfield Parade beside Port Phillip, Albert Park Lake, and the Royal Botanical Gardens, which was also the site for the cycling road race. The triathlon and cycling time trials were held along the St Kilda foreshore. The mountain bike competition took place at Lysterfield Park in Melbourne’s outer south-east, while shooting events were held in three locations – Port Melbourne, Lilydale and Bendigo. The 2006 Games were a great success for the Australian team. After the eleven days of competition, they were at the head of the medal table with 84 gold, 69 silver and 68 bronze medals; a total of 221 – twice as many as England in second place. England’s total of 110 medals included 36 gold, while Canada, in third position, won 26 gold in their haul of 86 medals. As is often the case, Australians performed extremely well in the pool, especially the women. There were 54 medals, including 19 gold, won by Australia’s swimmers. The best-performed swimmer was Libby Lenton, who collected a total of seven medals, including two freestyle and three relay golds. The most individual gold medals in the pool, however, were won by Leisel Jones, who made a clean sweep of the three breaststroke events and also won a relay gold. Three other female swimmers also took two individual gold medals each. The only Australian male swimmer to win gold was Matthew Cowdrey, who won two EAD freestyle events. Other top Australian athletes were Nathan Deakes, who won both the 20 km and 50 km walks; Ryan Bayley with two golds and a team bronze in cycling events; Joshua Jefferis with a total of four gymnastics medals, including two gold; and Lalita Yauhleuskaya, who won two shooting events. In team events, Australia was successful in both men’s and women’s basketball and hockey. Other outstanding performances of the Games were those of Canada’s Alexandra Orlando – who took five gold medals in rhythmic gymnastics and also helped her country win the team event – and Indian shooter Samaresh Jung, who won five gold, one silver and one bronze medal. He also set three world records and won the David Dixon Award for the most outstanding athlete of the Games. 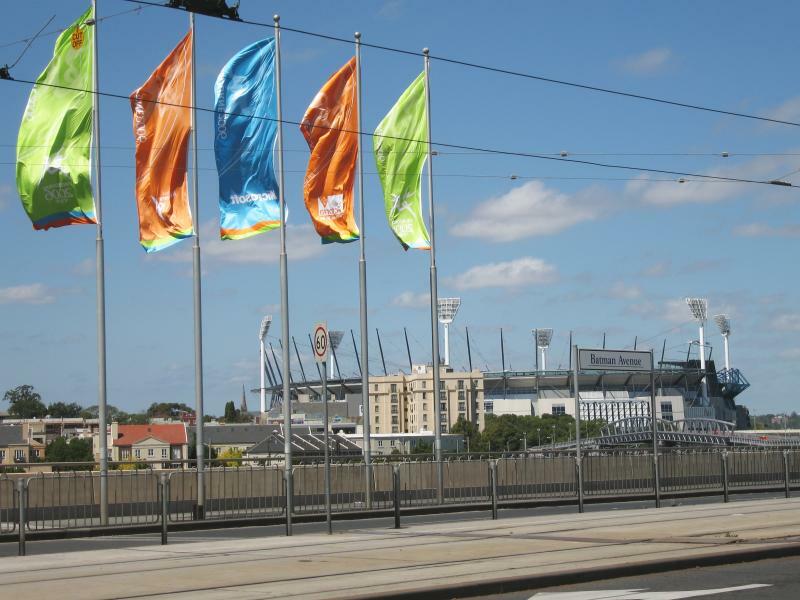 In addition to the sporting events, another highlight of the games was Festival Melbourne 2006. Events such as music concerts, street performances, exhibitions, a circus and indigenous culture all featured in the twelve-day festival. 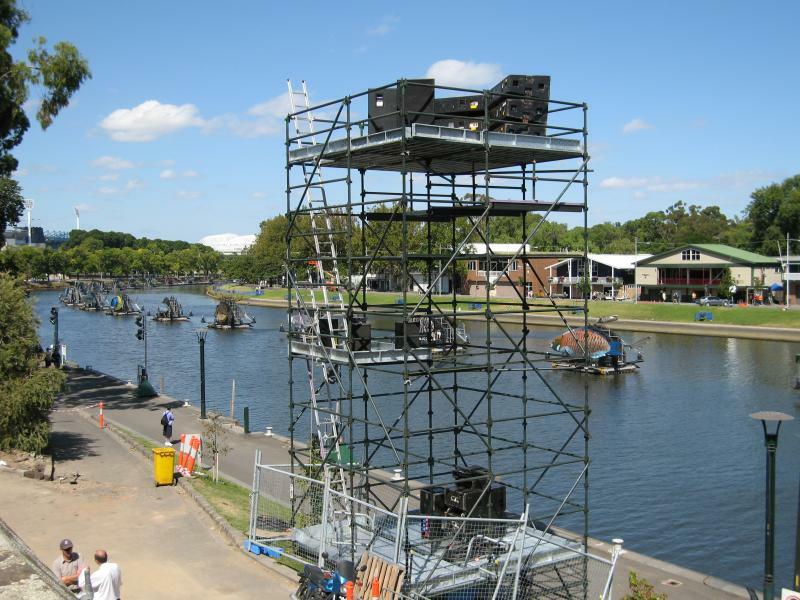 Entertainment was free and held at venues such as the Sidney Myer Music Bowl, Federation Square and the Alexandra Gardens. The Games closed on the night of 26th March, following the completion of competition earlier that day. The closing ceremony saw performances by some of Australia’s top musical acts. An upside-down globe, depicting Australia as being on top of the world, was also a feature. For the first time, games volunteers were invited to be a part of the closing ceremony, in recognition of their efforts throughout the event. The official closing of the games was performed by His Royal Highness Prince Edward, after which there was a city-wide fireworks display. Re-live the 2016 Melbourne Commonwealth Games at m2006.thecgf.com.